Now before you say anything and accused me of clickbaiting, let’s get things straight. Twenty seven thousand pesos (Philippine Peso) excludes plane fare, bus tickets, hotel accommodation, visa processing, travel tax and terminal fee. We all paid for these months before our trip. The said amount serves as my pocket money which includes food, transportation, theme parks entrance fees and other sightseeing, my pasalubong and a little shopping. It has always been my dream to go to Japan since I love 90s anime. I enjoy listening to Japanese conversation even if I don't have any clue about what they're saying. And when the Universal Studio - Japan launch teh Wizarding World of Harry Potter (WWoHP), I was more determined to set foot in the Land of the Rising Sun. But then people said that travelling to Japan is more expensive compared to other Asian countries. I asked a friend of mine who already went there and gave me an excel file with a more or less 100k actual expenses. We chose AirBnb as our accommodation. Not hotels. We get to save 2 nights accommodation because we choose sleeper bus as our means of transportation from Tokyo to Kyoto/Osaka and vice versa. Luckily we bought our plane ticket for Php5,125.00 all in. Round trip and with baggage already. I’ve compiled some questions that my friends asked me when they knew about my Japan trip. I thought this will help you as well. When was your Japan trip? Last two weeks of March, 2016. We spend 10D9N in there. We were a group of six. 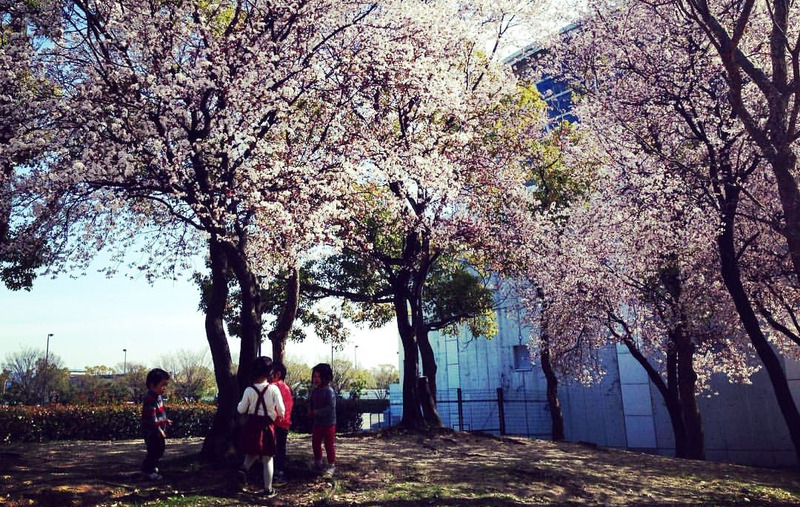 Did you catch the Sakura tree? We weren’t able to witness full bloom sakura tress in Ueno Park or in Osaka castle, but still, we get a glimpse of the famous flower in other areas of Japan. I think that’s one of the reasons why most of us wanted to visit Japan (I know I am!). When did you bought your plane ticket? We bought our ticket (Cebu-Tokyo-Cebu) nine months before our exact travel date through Cebu Pacific. During their 999 seat sale. When, Where and How did you apply for Japan Visa? 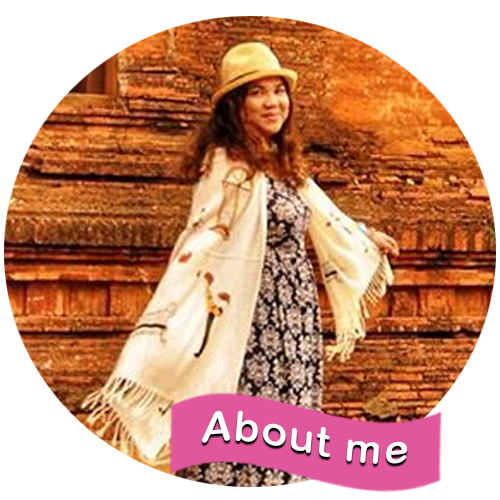 Please check out my separate blog regarding Japan Visa Application. Tell me more about the sleeper bus. Since we were on a tight budget, we opt to go with sleeper bus instead of Shinkansen. Sleeper bus’ travel time is 9 to 10 hours. We choose Willer Express since it’s one the famous sleeper bus in Japan. It has also toilet and reclining seats so we were able to sleep comfortably (to my surprise!). We departed from Willer Bus Terminal at around 10pm and arrived in Kyoto at 6AM the next day. On our way back to Tokyo, we departed at Osaka around 11PM and arrived in Tokyo at 7:30AM the following day. How did you cover the 3 cities in 10D9N? 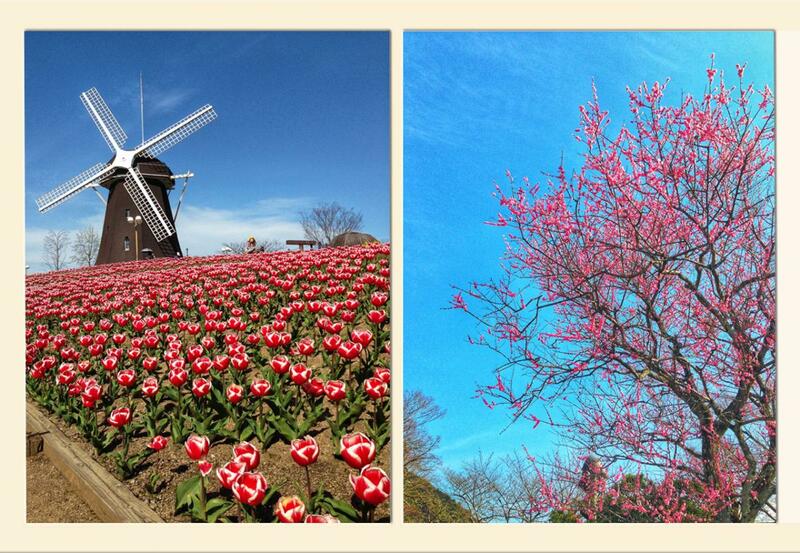 We spent two days in Kyoto, two days in Osaka and 4 days in Tokyo. The plane ticket we bought was to and from Narita so we decided to cover Kyoto and Osaka first and spend the remaining days in Tokyo just to be safe. We don’t want to get stuck in Osaka on our last day if something terrible happens. 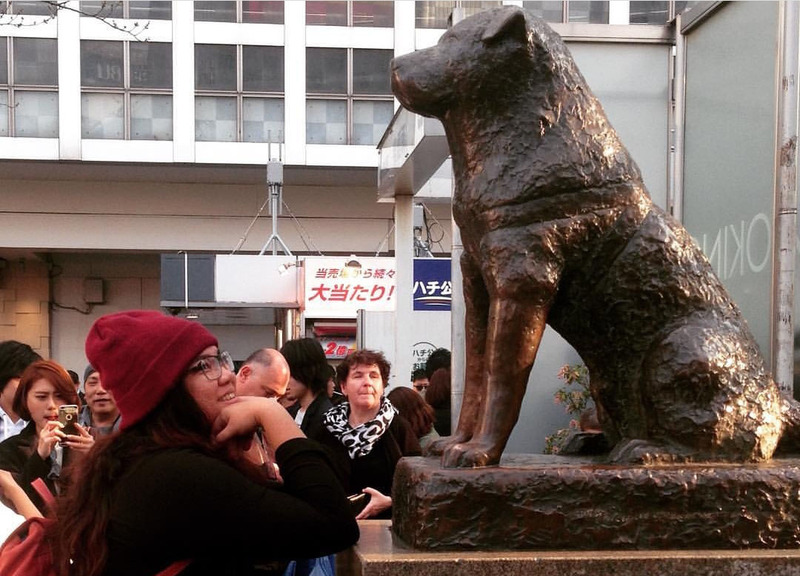 So as soon as we arrived in Tokyo at around 1PM, we had some lunch, stored our stuff at a luggage storage in Shibuya Station and spend the rest of the day exploring the shops around Shibuya Station – that includes having a picture with the famous dog – Hachiko. That night, after having dinner, we hop into Willer Night Bus on our way to Kyoto. Four days after, we went back to Tokyo (from Osaka) through the same bus company. Our detailed itinerary is available HERE. I think twenty seven thousand pesos is not enough to cover all your expenses in Japan. Did you enjoy the food there? Oh we did, believe it or not! We get to taste the BEST RAMEN IN THE WHOLE UNIVERSE – Ichiran! We tried their famous Pablo cheesecake (before it was available here in the Philippines), we had lots of tempura, takoyaki (the best! Very far from our takoyaki here), rice bowls and other delicious food Japan has to offer. Our average food expenses per day was Y1,750.00. I’m not a breakfast person so I always had Family Mart’s bread and pancakes (you should try their pancake!) + coffee every breakfast. I splurge on my lunch and snacks (street foods). For dinner, we sometimes skipped it especially if we were really dead tired after a long day of walks and exploration. Can I ask how much was your total expenses? Yes! 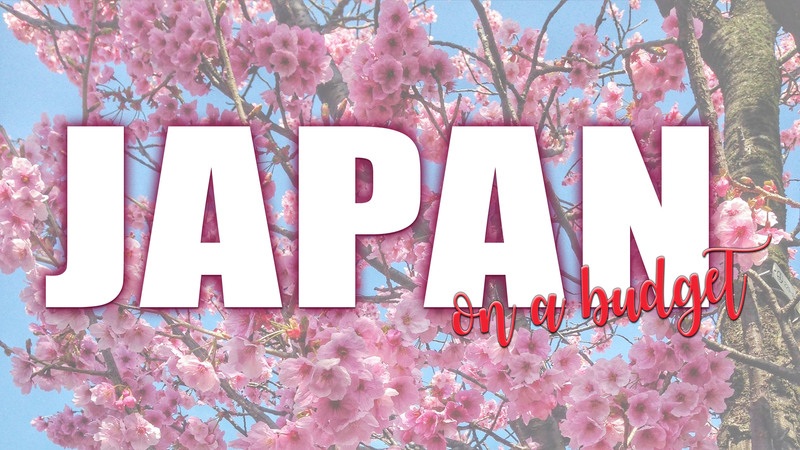 Please take time to read my Japan Wander Thoughts for some tips, insights and some should’ve, would’ve, could’ve of our Japan trip. 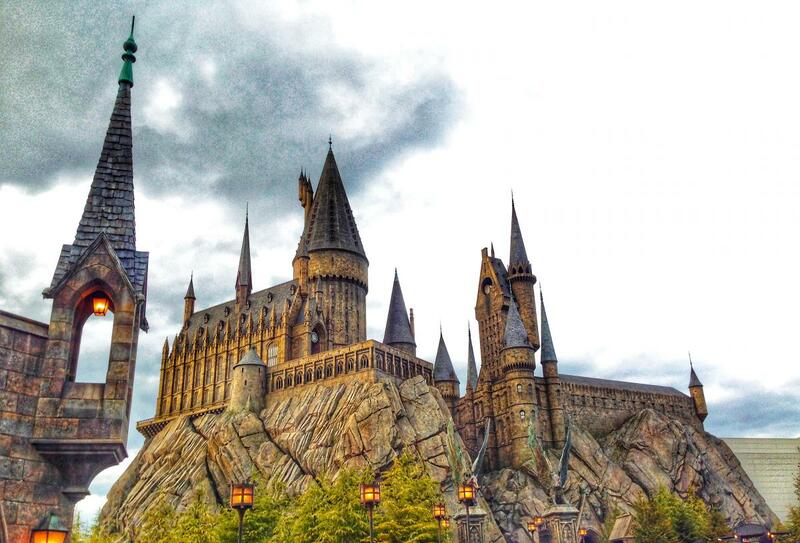 I get to enjoy Hogwarts! I’ve been a Pottermore for a very long time and to finally set foot on Hogwarts is a dream come true! I love my travel companion. No negative vibes, no drama and complains. We all had a great time. I had so much fun that we made a travel video about our trip. Please watch it and hope you’ll have a great time in your future Japan trip!